In 2003 I had the opportunity to be among the “foreigners” that Solomon prayed for in today’s chapter. I was able to stand and pray at the site of Solomon’s temple in Jerusalem. There is nothing there now but the unearthed stone remnants which are now known as the “Western Wall” or the “Wailing Wall” because of the crowds who ceaselessly gather there to pray. It was a special event for me simply because of the historical meaning of the site. I must admit, however, that I didn’t find the experience of praying at the Wall to have any special potency or spiritual power. In fact, I struggle with the belief that a geographical location makes any kind of difference to prayer. Jesus went away to a mountainside to pray regularly, but it had nothing to do with the mountain being somehow a spiritual place. His drawing away was more about getting away from the crowds, the demands of followers, and the stress that comes with working with people. He happened to enjoy going to the nearby mountain, but the same thing could have been accomplished by going to the woods or getting out in a boat in the middle of the Sea of Galilee. Our place at the lake is very similar. I always feel spiritual peace when I’m at the lake. It’s a great place to relax, to pray, to meditate, and to think. There is nothing sacred in the dirt or water there. It is more about the fact that there is no television signal and only spotty internet service if you have a cellular modem. You’re away from the grind. It’s quiet. It’s peaceful. The stress and anxiety of every day life melt away. The quality of my prayers and meditation at the lake rise because I don’t have work piled on my desk, don’t have my home phone ringing off the hook, and don’t have people demanding my time, energy and resources. There is space to reflect, to mull things over, and to have conversation with both God and others. Jesus taught that with the pouring out of Holy Spirit at Pentecost, the presence of God would reside in the hearts of believers. We are God’s temple, and we take Him with us wherever we go. Pilgrimages to special places can be meaningful, educational, inspirational and spiritually beneficial, but they are certainly not necessary. 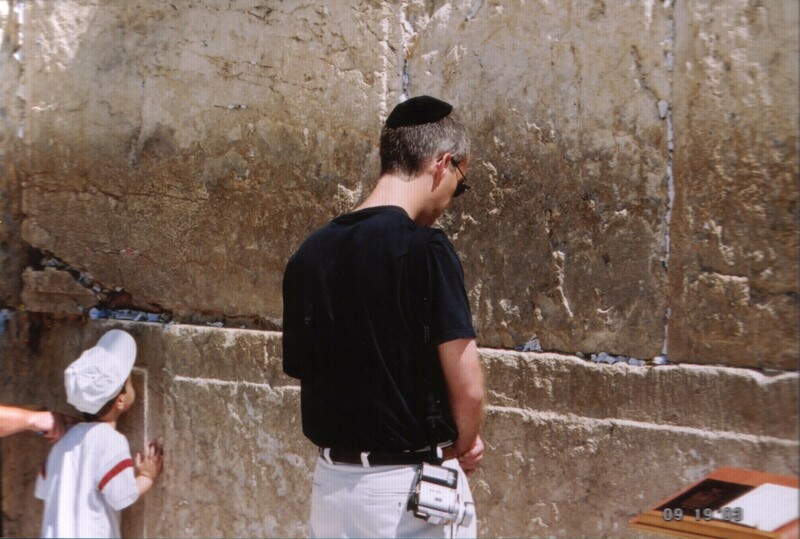 I don’t need to write my prayers down and slip them into the Western Wall to be heard. With God’s indwelling Holy Spirit, my prayers are heard wherever I am at any given moment. I share your sentiment, Tom. The lake provides an escape that few other places can. There is a mental relaxation when getting away from the rat race that is both necessary and enjoyable. It allows our souls to heal a bit from the damage the world inflicts every day. Thank you for sharing it.